This Schatt & Morgan Coke Bottle slip-joint knife comes out-fitted with smooth black micarta scales with a key stone inlay for a tactical look. This Schatt & Morgan Coke Bottle has#nickel silver bolsters, brass liners, and a stainless steel slip-joint back. 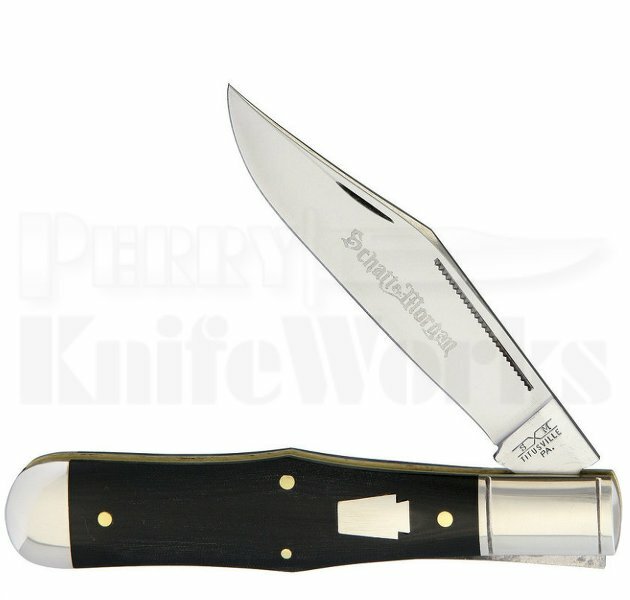 The 4" satin finished steel clip point blade has s flat grind and nail nick for easy opening. Made in the USA!